Beyond the GPU design it is good to see Nvidia put some concerted time and effort into the physical design of its Founders Edition graphics cards. Previously these were cards that were designed to take the cream off the top of the market, forcing impatient early adopters to spend more $£s to be among the first to own a new generation GPU. Yes, they cost more and until now the sole benefit seemed to be in the timing of their availability. According to our Asus press release there won't be an exclusivity period this time around - so why would you buy a Founders Edition? During the GeForce Gaming Celebration at Gamescom last night, Nvidia CEO Jensen Huang discussed the new Founders Edition design in some detail. He mentioned how quiet it is in operation and about other functional aspects of the design. To my eye it is a handsome design, striking a nice balance between form/function with a few frills. The card shrouds are made from diecast dual-anodised aluminium with diamond cut reflective details. 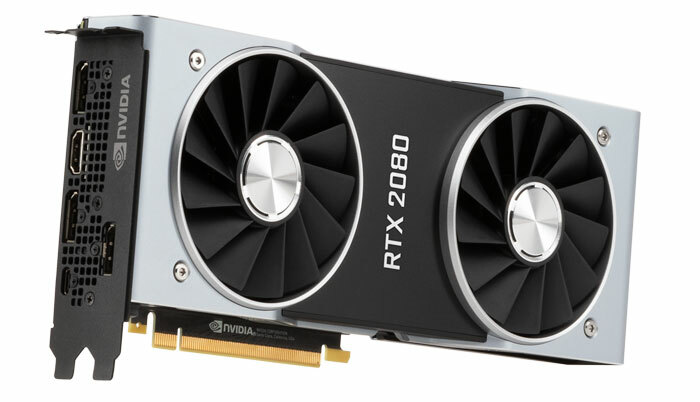 A Physical Vapour Deposition technique was used to implement the RTX 2080 name label, and an LED-lit GeForce RTX logo finishes it off, cutting though the dominant silver and black form. Interestingly these designs also come overclocked by default, compared to reference clocks. In a new blog post Nvidia dives deeper into the new Founders Edition design, providing the reasons for the new design, what it represents, and sharing some illuminating teardown photos. Nvidia research found that "the vast majority of graphics cards buyers never overclocked their cards, leaving the full capabilities untapped". With this in mind it was decided to make Founders Edition graphics cards with a factory overclock. Across the range buyers will benefit from a "rock solid" 90MHz OC out of the box and this is backed by a three year warranty. Of course these cards can be pushed further thanks to the design and component choices. Huang mentioned how much quieter the new twin fan design is compared to a previous gen blower last night, and now we have it confirmed on the Nvidia blog. The new twin fan design, with 13-blade fans, runs up to 10 degrees cooler in a well-ventilated environment and emits just a fifth of the noise when overclocked (an 8 decibels sound reduction). Beneath the fans is what is claimed to be the world’s first full-length graphics card vapour chamber, which helps cool the entirety of the PCB. On top of this you will see the aluminium fan stack which channels air currents through to the fans. Overall it is the quietest ever design from Nvidia. An all new 13-phase iMON DrMOS power supply ensures efficient power delivery to the new GPUs. 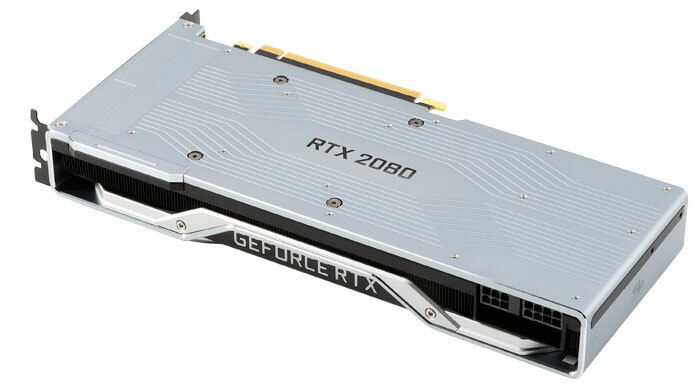 Nvidia says that its factory-overclocked GeForce RTX 2080 uses 225 Watts of power out of the box, rising to 280 Watts when pushed to the max. Thanks to the ability to switch off arbitrarily phases the power delivery components can drastically reduce consumption when workloads are light. Choice capacitors also help things run, cool, stable and efficiently - as many AIBs claim with their unique designs. 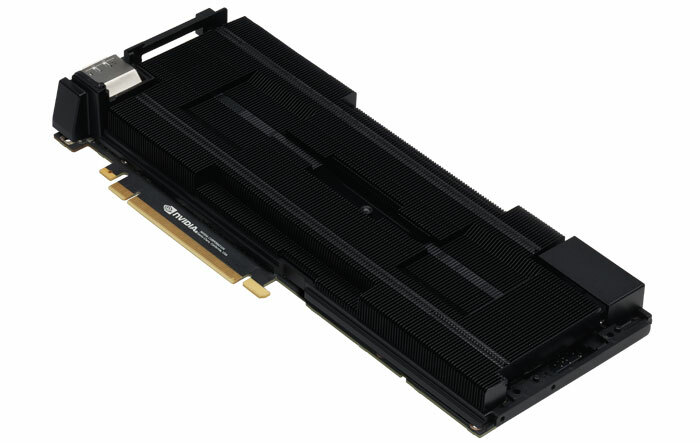 Nvidia has implemented the following array of outputs on its new Founder Edition cards; 3x DisplayPort outputs with full support for DisplayPort 1.4, an HDMI 2.0b output with HDCP 2.2 support, and a VirtualLink USB Type-C connector for next-generation Virtual Reality headsets. AIB cards don't all follow this plan. Well I bought a FE 1080, and I didn't regret it for a moment. I paid £599 for it, and when partner cards launched later, they were all selling for over that price, sometimes by hundreds…due to stock availability. Sure I could have waited 3 months and paid the same for a partner card, but for pretty much no benefit. My FE 1080 looks great in the case, is quiet in normal use (and when maxed out I have headphones on, so the top speed fan noise is irrelevant) and has been a rock solid performer for me, even overclocked. I don't regret putting in a pre order for another FE card this time around (from Nvidia direct). 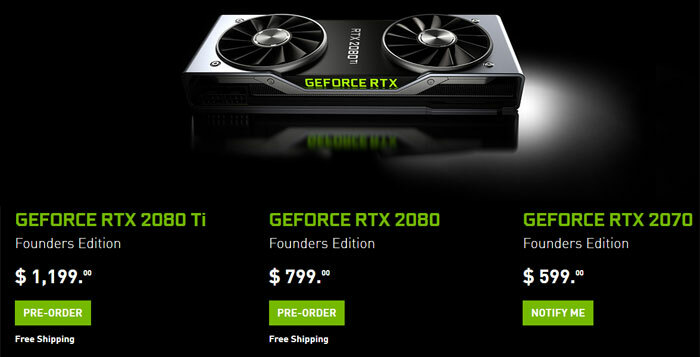 Sure the price has gone up and whilst I would not want to defend the price directly, Nvidia don't have any real competition at the top end of the market so they can pretty much charge what they like and they will still sell out…so why wouldn't they push things a bit. They look pretty again too this time around! HBM 2.0 ….why Nvidia …WHY!! They're making all the cards with an overclock. By definition this is not then an overclock but the standard clock. What they have likely done is find the highest stable clock, set the cards to run at that and then dropped the spec for the GPU by 90MHz to make it seem like you're getting more by going FE. Sorry but I'm really on a downer about Nvidia's practices right now. Something to do with price gouging.